Raised in the backwater province of Crowthorne, Cara finds her fate bound to a system she despises and a goddess she no longer believes in. When it becomes clear that the heir to the Elbian throne has found disfavor in the eyes of the goddess, Cara is ordained by blood to take her cousin’s place as heir apparent. One man from each twelve provinces are chosen by the royal council to pledge their lives and swords as champions and consorts of the future queen. From these men, Cara must choose the future king of Elbia. 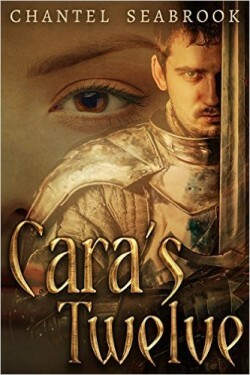 Before she is able to take her place on the throne, Cara and her Twelve must visit each province and perform a sacred ceremony, one that will make Cara question everything she thought was real.